Mariella Teagen hasn't spoken a word in four years. Calease, the creature who created his dream world, swore that giving up violence would protect Hudson. But when his vow caused the death of his little brother, Hudson turned his grief on Calease and destroyed the dream world. The battle left him with new abilities and disturbing visions of a silent girl in grave danger—Mariella. Now, Hudson is fighting to save Mariella's life while she fights to give it away. And he must find a way to show her Orane’s true intentions before she is lost to Paradise forever. I glance at Dana out the corner of my eye. It’s hard to tell how much she’s deduced. I guess it depends on how well she knows the Dowlings and how much she remembers about the years before Emily’s coma. But she’s not stupid, so I wouldn’t be surprised if she can see I know more than I’m letting on. I walk through the store but I can’t quite remember why I’m here. Looking around I see a blond giant leaning down to hear something my mother is saying. Right. Hudson is why I’m wasting my time here. Something about studying Hudson from a distance appeals to me and I find myself watching him with a faint sort of fascination. I’ve never seen anything like him. So imposing and stubborn, yet damaged and soft underneath. The contrast between his almost white blond hair and his black eyes is striking, and the features that surround those eyes employ a strangely attractive combination of broken angles and soft curves. His obviously reset nose against the fullness of his lips. The scruffy, short, careless hairstyle against the soft curve of his cheeks. The strong jaw against the intelligent set of his forehead. If the rest of him is as intriguing as his face, I can easily see him as a favorite subject of a Renaissance sculptor. Plus, he’s convinced he’s riding in to rescue me from some impending doom, and while the actions are unwelcome, the thought behind them are kind of sweet. I shake my head and look away. Loneliness is obviously addling my brains. Two nights have passed with no word or sign from Orane. No tokens. No gifts. No letters. Nothing. All I have is Hudson’s constant presence. Only the reassuring glow of my nightingales to remind me that Orane’s love is not just a dream. But the longer he stays away, the more I need him. The flash-headaches attack incessantly and with ever-increasing power. And they always hit in my weakest moments. Like when I first open my eyes in the morning and realize I’ve passed another night has passed without Orane. Sometimes it’s almost like there are words echoing through my mind—screamed messages I can’t hear over the roar of the pain—but I can’t decipher them. I can’t hear anything in those moments. Not even my music. And that’s another thing. Orane is going to be so disappointed in me. I haven’t been able to find new music in days. I’ve spent some time looking, though not as much as usual, and nothing strikes me as worthy of my opera hall. Nothing seems worthy of Orane’s attention. I look up from my inspection of a pair of ripped, embroidered jeans and see my mother and Hudson watching me. We follow her instructions, neither of us speaking as Hudson leads us through the aisles, picking up this and that and piling it into the cart. I pull at the tattered edge of my hoodie’s sleeve; it sort of reflects how battered and broken I’m starting to feel. Attacked from all sides, secluded from the one person who offers me love and comfort, forced to endure noise and company when all I want is silence and solitude. I’m fraying and pretty soon the last threads holding me together are going to snap. What happens then, I don’t know, I just hope Orane returns before I find out. My mother meets us at the front registers and hums to herself as she pays. She’s smiling, too. I can’t remember ever seeing her smile. But, wait, that can’t be right. She hasn’t smiled in eighteen years? I listen closer to the song she’s humming. It’s her song, the one I sneak out of my room to listen to. My hand lifts and my fingers start following the melody just the pain strikes. I can’t stop the hiss that escapes my lips, but I clench my hands to keep them from curling around my head and drawing attention to myself. “I think she stubbed her toe,” I hear Hudson say, but his voice is far away and distorted, as though I’m hearing it underwater. A tug on my sleeve and I walk in that direction, letting the gentle pulls guide me. The battle grows in ferocity and the first line of defense buckles. In desperation I grasp my pendant and my token, clutching them tightly and breathing deep. It doesn’t happen fast, but by the time we’ve reached the car I’m in control enough to open my eyes and climb into the backseat. “Are you okay, Mari?” my mother asks, turning around in her seat. I nod and look out the window, but not before catching Hudson’s eyes in the sun visor mirror. It shouldn’t be possible, but I think he can see it when the headaches come. Each time, his eyes lock onto me even before I react, almost like a warning system. I wonder what the world looks like to Hudson. What does the world look like through eyes that seem to see everything when it looks like they shouldn’t see anything at all? Where did this scene originally take place in the novel? Originally, this happened a few chapters before the moment Mariella purged her entire closet. It was a little bit of an explanation for where the clothes Dana pulls out of her room come from and a moment to show more of how Mari has been interacting with her parents and the world and also how much that has changed over the course of the book. Why was this scene deleted? Once the timeline and the course of events adjusted this moment no longer fit within the story! The progression of Mariella’s mental state and even the level of interaction she had with her family changed a lot in the new version and this scene (although I’m not the only person who loved it) just didn’t sit right with the rest of the story anymore. Even the follow-up scene where Dana reveals all of the clothing she’s been storing away in case of emergency changed from the way it was originally written. Only the concept of that scene is the same. Horace and Dawn were always fun to write when they showed up on the page! They’re each so unique in very interesting ways and they’re both amazingly comfortable within their own skin. They say what they think and they’re confident in their intelligence and capabilities (while also cognizant of their faults and flaws) and are generally decent human beings. I’ve also found that readers are much more likely to accept a secondary character at face value and simply enjoy their presence. There’s a lot less pressure on secondary characters than there is on main ones. Without a doubt, “Blinding” by Florence + The Machine. That song is essentially a poetic summary of Sing Sweet Nightingale. After a lifelong obsession with books, Erica Cameron spent her college years getting credit for reading and learning how to make stories of her own. 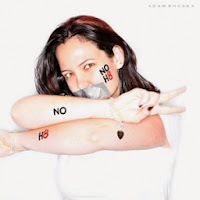 Erica graduated with a double major in psychology and creative writing from Florida State University and began pursuing a career as an author. Erica is many things but most notably the following: writer, reader, editor, dance fan, choreographer, singer, lover of musical theater, movie obsessed, sucker for romance, ex-Florida resident, and quasi-recluse. She loves the beach but hates the heat, has equal passion for the art of Salvador Dali and Venetian Carnival masks, has a penchant for unique jewelry and sun/moon décor pieces, and a desire to travel the entire world on a cruise ship. Or a private yacht. You know, whatever works. 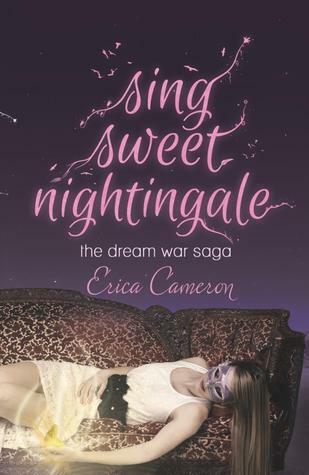 Her debut novel, Sing Sweet Nightingale, released March 2014 and it was the first volume of The Dream War Saga, a four-book young adult series. Blinding by Florence + The Machine is one of my favorite songs. I can't wait to read this and fit the song with it. I've heard a lot about this book, so I would love to have the opportunity to read it myself.